I'll bet you thought challah refers to the two braided loaves of bread reserved for Shabbat meals. It does. But mainly, challah is the small chunk of dough we tear off and burn before baking any bread. Originally, that dough was given to a Kohen, a descendant of Aaron who served in the Temple. In messianic times, we'll reinstate the practice. Meanwhile, we need to burn that challah before we can eat the bread from which it was taken. Taking challah tells us that whatever we are given is not for our use alone. If we have wisdom, money or good health, our first step is to put them towards a G‑dly purpose. 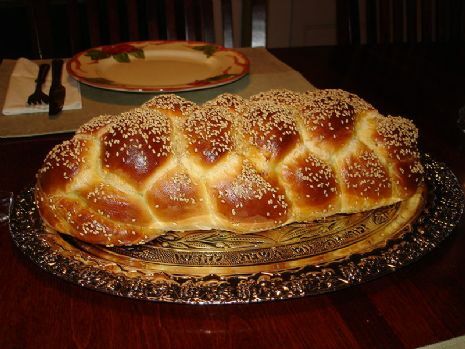 Jewish women traditionally prefer baking their own challah for ShabbatJewish women traditionally prefer baking their own challah for Shabbat over buying from a baker. It's a mitzvah, so why give it away? It's also a very feminine kind of mitzvah, nurturing the bodies and souls of the family and guests. Would you like to experience Challah Baking with Fraida? Chabad of Harford County has formed a woman's group called the Jewish Womens Circle, the group is designed for the contemporary woman. The goal of the JWC is to unite all Jewish women in the area through exciting events and activities. The Jewish Womens Circle comprises women of diverse affiliations and backgrounds who join together under the Chabad umbrella. To have a good time, to explore Jewish themes and to work together to create and enhance community projects. The group will sponsor a variety of programs, including classes for women and special Jewish women's events. The organization's volunteers will also visit Jewish women in local hospitals and help to support Jewish families in a variety of situations. The Jewish Womens Circle provides an opportunity to bring together women with divergent points of view, backgrounds and affiliations in an atmosphere of friendship. SPONSORSHIPS WELCOME OR IF YOU CAN HOST THESE EVENTS PLEASE LET US KNOW! Are you Jewish and moving to Harford or Cecil counties as part of BRAC 2005? 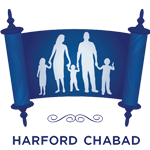 Chabad of Harford County is a Jewish Synagouge located in the Heart of Bel Air and services all Jewish families in Harford and Cecil Counties. On February 10th 2011 the Aberdeen Proving Ground held a Prayer Breakfast. The event was attended by close to 200 personnel from the base. 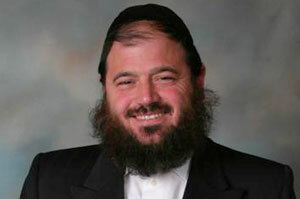 Rabbi Kushi Schusterman from Chabad of Harford County www. HarfordJewish.com was one of the local religious leaders who was asked to pray for our solders and our nation. Rabbi Kushi and his wife Fraida have been living in Harford County for close to 6 months where they established an open and welcoming center for Jews of all backgrounds and affiliations. Rabbi Kushi at APG from Chabad Jewish Center on Vimeo. Chabad of Harford Countty is not endorsed or affiliated with APG, the US Military or the US government. Without it Friday's Just Another Day! TURN YOUR FRIDAY NIGHT INTO AN EVENING OF SPIRITUAL PLEASURE, JEWISH SONG, AND CULINARY DELIGHT. Following Services and a Chicken Soup Oneg the community is invited to Join us for a delicious dinner, in a warm Shabbat atmosphere. From the Kiddush and Matzah balls, to the meaningful discussion & inspiring song, this is a Shabbat experience you won’t want to miss. Breathe a sigh of relief… Not only is Shabbat almost here, but your dinner will be waiting for you at Chabad. Surrounded by friends and family, you will enjoy a delicious Friday night dinner. It's T.G.I. Shabbat! From the Kiddush to the kneidlach, come join us for a monthly Shabbat celebration. Sponsors Needed The cost of co-sponsoring a Friday night dinner is $180 or $360. We need 2 co-sponsors for each dinner. You can sponsor the meal in honor of a special event, significant milestone or in honor/memory of someone special. Table Hosts Needed The dinners will help create opportunities for our members to socialize, and introduce new families to Chabad. To this end, Chabad is looking for table hosts for each dinner, who can invite their friends and family to join them at the dinner. There is no cost to be a table host and your guests do not need to be members to attend these dinners. Use the RSVP formto reserve your seat, sponsor or sign up as a table host., and get ready to transform your weekends and holidays into something special! You can receive a one-time $25 statement credit when you register any eligible American Express® Card and use that Card to make a purchase of $25 or more at a small business on November 24, 2012. Simply fill out the form here to get started. Shop SmallSM. It’s going to be huge. There is no catch. Simply click make a $25 donation to Chabad and we will charge it on Nov 26th. (We will register your cards on the AMEX web site. This only works as long as the 300,000 spaces are avaialble. (Feel free to call AMEX customer service and ask about the Small Business Saturday program if you need to verify). Please don’t put it off, or we will lose out on this golden opportunity. AMEX UPDATE: Some of you have asked if this is legit or a scam. This is not a scam. This is the third year that American Express has run this promotion to help small businesses and organizations. This program is not connected to the donation per se, you can use these $25 at any small business. We hope this opportunity will allow many people to join the important work we do in our community. If you would like some more information: you can reach us at 443-353-9718. The calendar has received rave reviews and families have requested copies throughout the past year. The Calendar will once again include the secular as well as Jewish dates, along with the details of popular programs at Chabad, detailed information about upcoming holidays, educational messages and Shabbat & Holiday candle lighting times. The date boxes are quite practical with ample room for recording family appointments. Unlike ads/announcements in other publications that have a very short life span, potential customers will view the colorful and informative Calendar the whole year round, providing maximum return for your dollar. It will undoubtedly be displayed in homes and offices throughout the community thus insuring optimum visibility for your message, products or services. We will be printing 3000 copies of the calendar, which will be mailed directly to homes across the Region. You have the unique opportunity to personalize this calendar with your ad or special date. 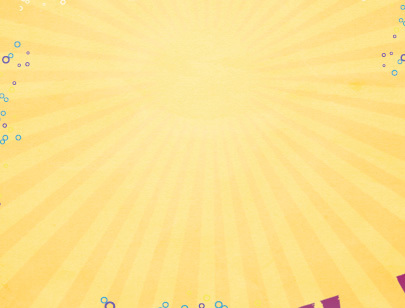 Above each months page will be an eye catching space to advertise your business or to send a greeting to the community. The Calendar will also feature space for New Year greetings, your families special occasions, i.e. Bar/Bat Mitzvah, weddings, student graduations, Yahrtzeits, birthdays etc. printed in the calendar on the date of the occasion. Chabad is known for its activities that are geared to Jews of all religious and educational backgrounds. As this is part of our fundraising projects, your New Year greeting or advertisement is very helpful to our growth and continued ability to serve the community. Please click here to fill out the online form no later than Wednesday, July 18, 2012. Your prompt response will be greatly appreciated. At Chabad, families of all backgrounds feel comfortable and welcome. 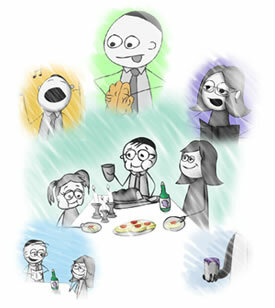 The Shabbat candles, the evening service, the kiddush, the sumptuous meal, the guests, the songs, the discussion of the parshah — all combine to turn the first hours of the Shabbat into the unique experience that is "Friday Night." Help us make our Shabbat meal complete by being our guest. 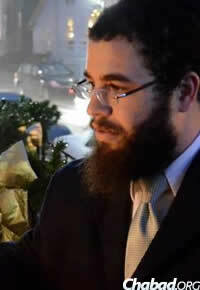 Rabbi Yakov Horowitz is the founder and Director of Project Y.E.S. (Youth Enrichment Services) and a leader in helping parents teach their children about personal safety. Welcome to the Harford Hebrew School! We hope you will find our website comprehensive and informative. Please visit us regularly throughout the year. In this section you will find a vast resource of information for you as a parent of a child in our Hebrew School. We look forward to meeting you and serving your needs. You decide!! We have a special customized school solution and you can choose the dates we will do our best to accommodate your schedule. However we require you and your child attend a monthly unity gathering where all the hebrew school children get together. Once you sign up we will meet to figure out the dates that work best for both of us. At the Harford Hebrew School we don’t charge a tuition fee, however we request that all parents join the Chai Club. The Chai Club is a commitment to the continuation of Chabad’s work locally – donate a monthly a multiple of $18 monthly - E.G. $54, $108, $180, $360 - Eighteen is the numerical value of the Hebrew word Chai which means life. Please note that no child will be turned away due to lack of funds. Please contact the office at 443-353-9718 to discuss any financial considerations. 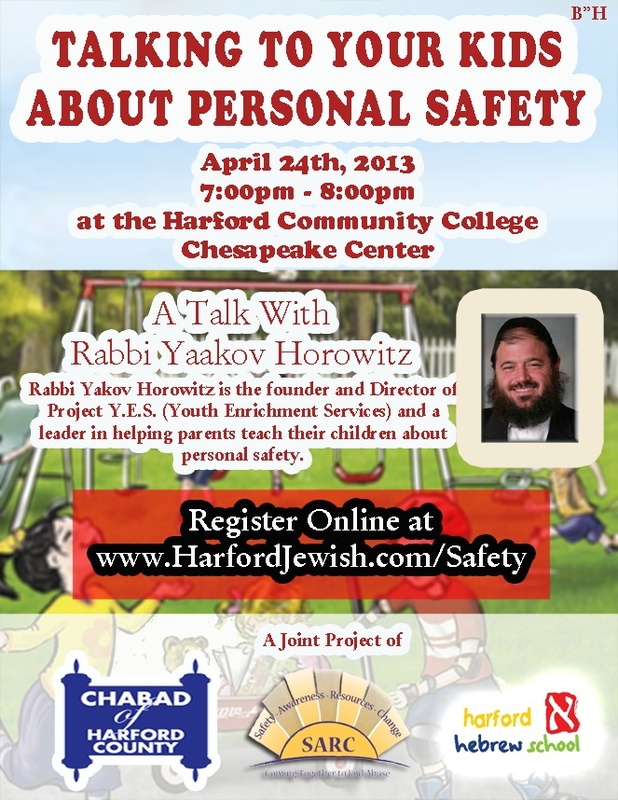 The Chabad Jewish Center of Harford County Presents the Shofar Factory. 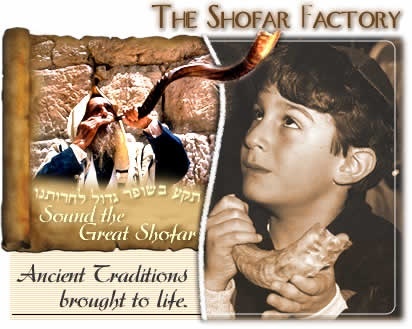 The Shofar is a hands-on workshop for the very young and the young at heart. Experienced craftsmen guide children through the step-by-step process of crafting a shofar. Once the work begins, Each Person gets the chance to clean and measure the cured horn. saw off the solid end of the shofar and help drill the mouthpiece. The horn is cleared, tested and polished, and the delighted participants learn how to blow the shofar and take one home. Both fun and educational. This year, Chabad of Harford County will provided the community with quality and affordable Lulav and Etrog Sets for purchase. We'll assemble the sets for you, and even give you a pointer on how to do the mitzva if you need. The Mitzva of Esrog and Lulav is one that has always been cherished throughout history, with people traveling far and wide, spending whatever was neccesary to get a 'perfect esrog'. Convenient and affordable, yet highest quality— you won't need to travel far, and as you see below, it won't break the bank. Orders sumitted after October 3rd, add $7 per set. Italian Esrogim Available Upon Request. All levels are Strictly Kosher under the supervision of the 'Badatz Yerushalayim'. All orders are due October 9th. Lulav & Etrog are availabe for pick-up Potential proceeds of this project will benefit Chabad Jewish Center of Harford Counties High Holiday programs and services. Chanukah recalls an internal struggle between those who were, like the Maccabees, faithful to Judaism and our way of life and those of our own brethren who were themselves Hellenized! In celebrating the miraculous victory of the faithful Jews it is crucial that each Jew make his own public statement as to where he stands. By publicly lighting our Menorahs we are not merely commemorating a past miracle – we are performing it anew! A display of Jewish pride here in Harford and Cecil Counties! This public Menorah, is a powerful religious symbol. It is an oasis of Jewish pride for us and our children. The public event will feature the kindling of the area's largest Menorah, as well as refreshments for adults and children, music and more. We invite you to come out to recreate the Chanukah miracle of Jewish solidarity. Please bring your family and friends. Let us publicize the Chanukah miracle together this year and promote Jewish pride! Yes, I would like to register for "A Taste of Kabbalah"
Chai Club- I would like to join the Chai Club Please Charge my Card $ Every month on the first of the month(Multiple of $18) to the Chai Club as a monthly contribution to ensure Chabad’s continued growth. This Event Took Place on Sunday June 22, 2011 at the Schusterman Home. With the unique spirituality of Chabad philosophy, our holiday experience is enjoyable. When it comes to youth, our philosophy is simple: Education must become a way of life. Our services are traditional and are conducted in a joyous, casual atmosphere. Drawing on Chassidic teaching, the most basic building blocks of existence are reexamined. We are not merely independent members of a local neighborhood; we are a part of one family.